It was simplier than I thought. After flashing with RecoveryMod successfully , I installed the “ROM Manager” , downloaded from market. then just choose CM 6.0.0 stable release..
the step is based on this article .. Caution: Installing CyanogenMod will erase everything on your phone. You will have to reinstall any non-market apps and you will lose all your contacts and emails and messages, unless you first back it up with Titanium Backup in the market. Note: I am not responsible for any damage you make to your phone. This is only a guide and by no means the complete and only way to flash CM. Warning: If you flash CM, you will have to update your radio to the new one released with 2.2 unless you already updated it. Flashing this wrong could brick your phone and I am not responsible for any damages that occur to your device. I’m not going to into how to flash the radio. From here on out, I’m going to assume you already have the Froyo radio. 1. Plug in your power cable and root using the 1-click root. 4. Click the “Flash ClockworkMod Recovery” and wait until the progress bar is finished. 5. It might freeze or ask permissions midway or not work at all. In this case, just click the button again. 6. 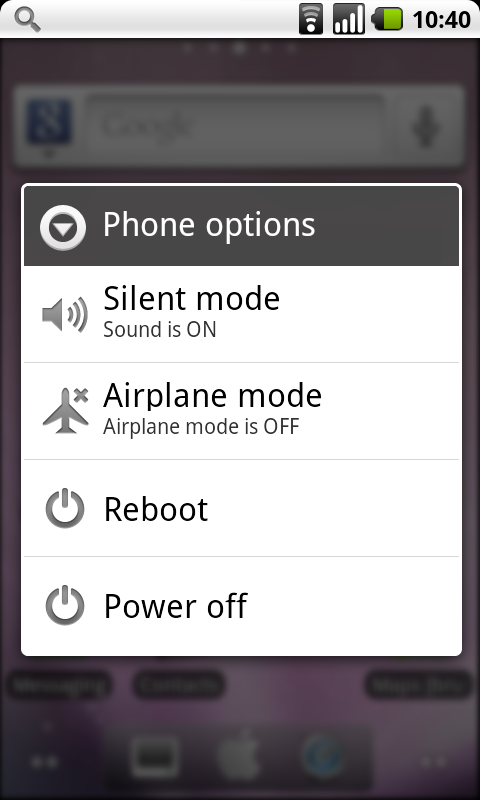 Then click the Download ROM under ROM Management of ROM Manager and select CyanogenMod. 8. In edition to downloading CM, make sure you download the corresponding Google Apps as CM does not include GApps for copyright and licensing issues. 9. Afterwords, go back to the main menu and select “Install ROM from SD Card”. 12. Click that and click OK.
13. When it prompts, choose to backup before flashing and give the backup a name like “Stock N1 Rooted”. Also choose to clear data and dalvik-cache. 14. Wait. It’ll reboot and go into the clockwork recovery and automatically queue and flash the two zips. Keep waiting until it reboots again. 15. 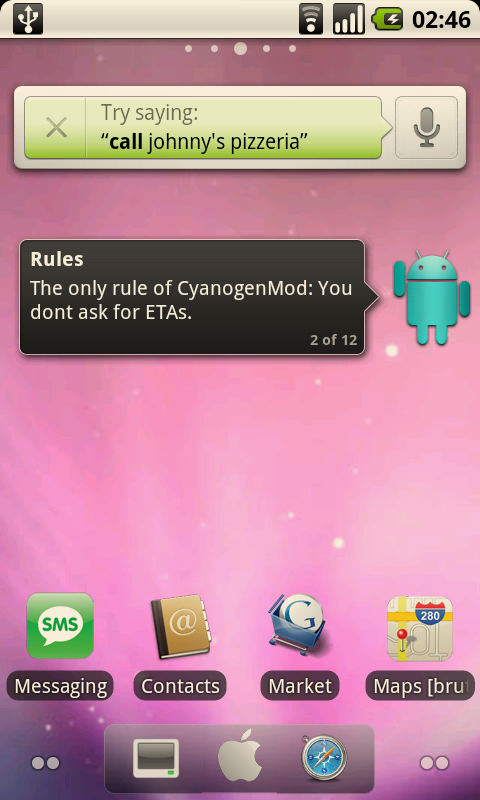 Welcome to Cyanogen Mod. within few minutes all done..
successfully rooted with CM ROM .. then I was installing the OpenVPN and market Enabler. Perfect. Worked like a charm. Thanks for the detailed post. Currently, it is booting into Cyanogenmod. Which is taking a bit long. So far, things were ok. If after booting it works wonders, I will link back to your blog on my blog website. big thanks, words cannot express my gratitude! super post buddy! helped a lot! Thanks! site-building then i advise him/her to pay a visit this weblog, Keep up the nice work. hello, all package link seems dead, can you upload it again please ?